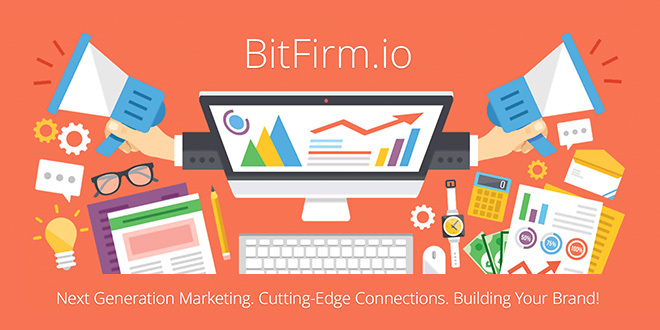 We're starting Bitfirm.io (website will be live in a while), public relations and promotion company for crypto-related projects. The goal is to leverage the existing resource of NXT community in content writing, social media promotion, SEO for promotion of NXT-related projects and beyond. Cryptoasset.fund will be the first customer of the firm, and an advertisement campaign will be launched in order to attract third-party customers from other crypto communities. On top of that substantial effort will be channeled into promotion of NXT platform in general. Bitfirm.io will be supporting 1000assets.net project, bringing new businesses to NXT ecosystem. The firm founders are: coinomat, coinking, bezbezbez, mx. Everybody is welcome to join us, if you write content or a SM expert we'll be happy to have you on our team. An asset will be issued, all founding parties will receive a share in the issue. Asset sell proceeds will be used for promotion of Bitfirm services in communities beyond NXT. Also we're planning to code a set of Twitter/FB promotion tools which should make the work of SM promoters much easier and efficient. Of course there are some ready-made tools but something much cooler can be done. If you want to be a part of Bitfirm contact us here or on Supernet slack #bitfirm channel! Is this project start with "Cryptoasset.fund" funds? As usually, we kick-start the project, and then we do ICO. What could be different here several people will hold the assets, since there are several project founders. This is the first PR Company related NXT. Hi everyone, thanks for all the great support. The team and I are looking forward to helping build NXT. This is an exciting time for NXT and we want to make sure it moves in the right direction. Please feel free to reach out to anyone on the team here or in Slack and we can see if you'd be a good fit. We will have a better idea of the skills needed in the coming weeks. Looking forward to serving the NXT community! Following. Hit me up for articles, seo content etc. We have about a week until official announcement. Currently we're forming the founders list. If you want to be on the network - don't hesitate to contact me or one of the participants. We're building NXT media/promotion network and will become a crypto PR firm number one!